Comes with all necessary accessories for installation. High quality material & finish tested at a high water pressure of 1.6Mpa. I was browsing through the different products here in the site looking a replacement faucet and saw this one. 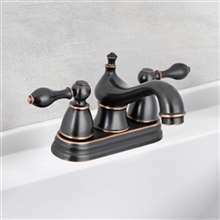 I actually saw a similar faucet here as well, with the swan design and all but the finish was more of a bright yellow gold. Well, I chose this rose gold finish because it just looks much better to me. Besides, I think this would go well with the tiles that I have in the bathroom. The design is unique. I don’t like the reddish color very much, but I do admit it looks good in its surroundings. Good price too. I will buy from Fontana again next time I need something, their service is remarkable.